It was disheartening to watch the Yankees fall behind behind by six runs in the first two innings during Saturday’s loss so I am sure the Red Sox fans felt the same way yesterday. 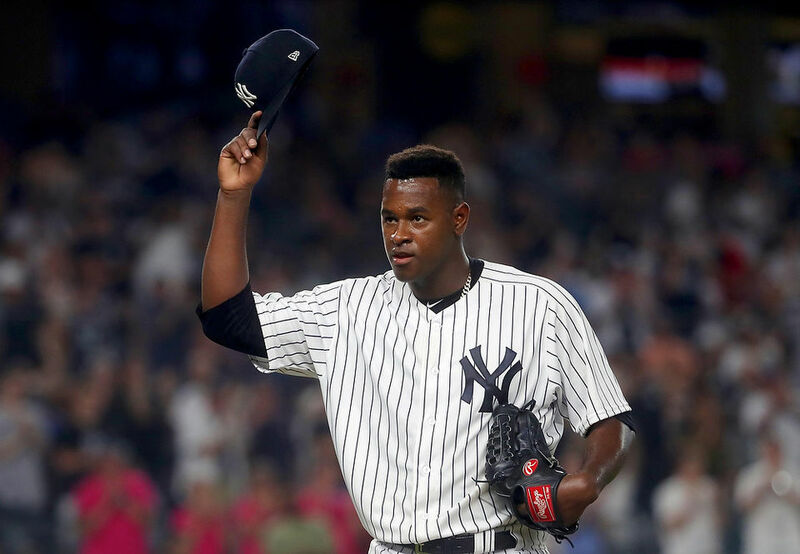 I had felt so much more confidence with Luis Severino pitching for the Yankees and perennial Yankees punching bag David Price going for Boston. 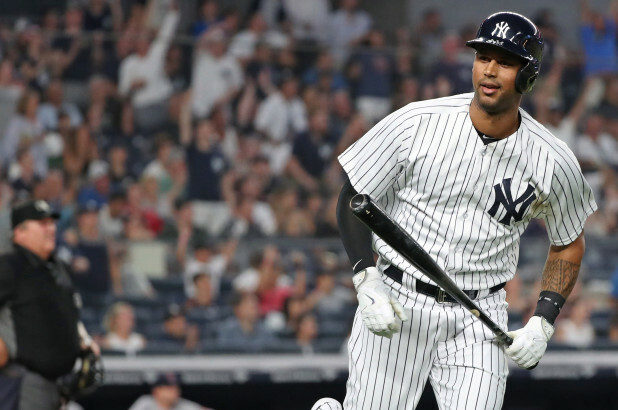 Six home runs from the home team, including three from the other Aaron (Hicks), certainly did not hurt. On an evening when so many balls were leaving the yard, it was odd that Giancarlo Stanton didn't join the party. But he had a couple of hits and scored a run so not all was lost. The last Yankee to hit three home runs in a game was a then-39 year old Alex Rodriguez who smacked three against the Minnesota Twins on July 25, 2015. A-Rod's last homer of the game sailed over the head of Twins center fielder, you guessed it, Aaron Hicks. Hicks also had a homer in that game, a two-run shot off CC Sabathia. But the Yankees prevailed, 8-5. Poor Aaron Hicks. If Yankees Twitter had their way, Hicksie would have been DFA'd long ago. 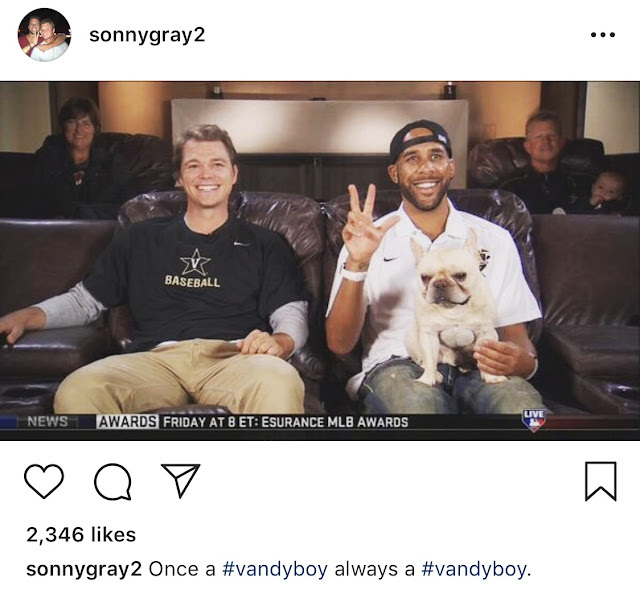 I have not felt the desire to bash Hicks (I'll stick with Sonny Gray, Chasen Shreve and Neil Walker). 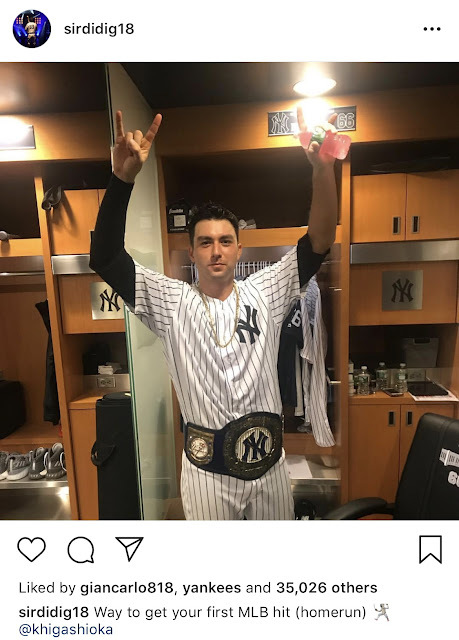 I'd gladly take Hicks over DL-King Jacoby Ellsbury whom, honestly, I hope never wears the Pinstripes again regardless of the cost. If Estevan Florial was knocking at the door or if Clint Frazier was a legitimate option for center, I'd feel differently but for now, I'm fine with Hicks in the outfield even if he hadn't hit three dingers last night. It's July which means it will be a big month for new Yankees. The 2018-19 International Signing Period opens today meaning some very talented international youths will soon begin their journeys for Major League dreams with Baseball's most storied franchise. The non-waiver Trading Deadline is July 31st so the rumor mill, which was already cranked up, will be hitting on all cylinders for the next few weeks. Who will be the next players to pull on the famed Pinstripes? We will find out by month-end. Good times.